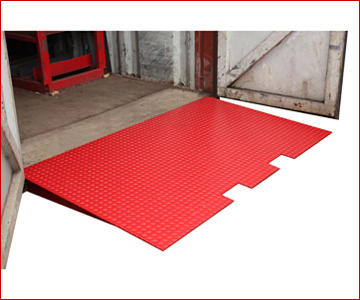 Thorworld Industries is the leading container ramp company – or Rampco® - in the UK and Ireland. We pride ourselves on manufacturing and supplying only the highest quality container ramps, enabling you to quickly, efficiently and safely load and unload trailers, containers and vehicles. 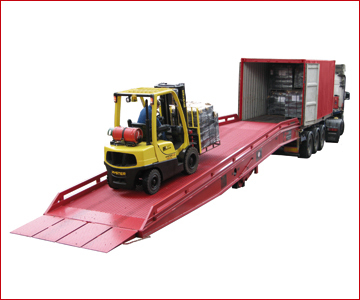 From mobile container ramps, ground level container access ramps, to container ramp safety interlock, container ramp accessories and our innovative Rentaramp service, we can provide a loading and unloading solution whatever your requirement. 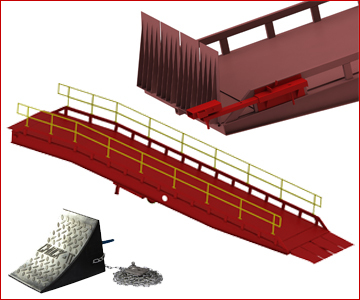 If you are not sure which container ramp is best suited to your application, our knowledgeable team can visit your site, provide a free survey, talk to you about your needs and recommend the best ramp for you. Whether it will be used just two or three times a day or continuously over a single, or two or three shift system, we make sure that not only does your container ramp do its job, but it does it as effectively and efficiently as possible. If an “off the shelf” container ramp is not a suitable option, our skilled in house design team and state-of-the-art manufacturing facilities enable us to create a bespoke ramp solution suited specifically to your requirements. Likewise, if you are not looking for a long term investment or want to trial different container ramps, our unique Rentaramp service is the answer. 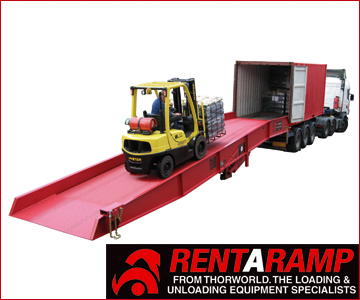 It allows you to rent a container ramp for a period of time between one month and five years giving you flexibility and control over your loading and unloading requirements. If cost is an issue, our Thriftyramp offering is the perfect solution – a low cost loading solution without having to compromise on safety and quality. 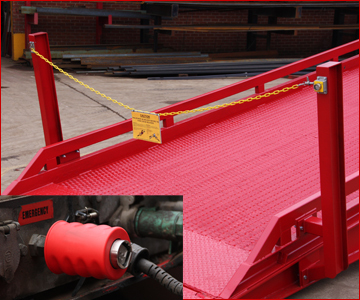 To assist in the safe use of our container ramps, we also supply trailer safety jacks and a wide range of safety accessories including wheel chocks, handrails, container ramp safety interlocks and anti-slip surfaces. Thorworld Industries is renowned for the quality and strength of its container ramps, all of which are manufactured to the latest European Standards and, as such, carry the CE mark where applicable. This quality continues through to our after sales, with our dedicated team of skilled service engineers, all trained to the highest level, on hand to help you get the most out of your container ramp. Call us now to discuss your container ramp requirements.